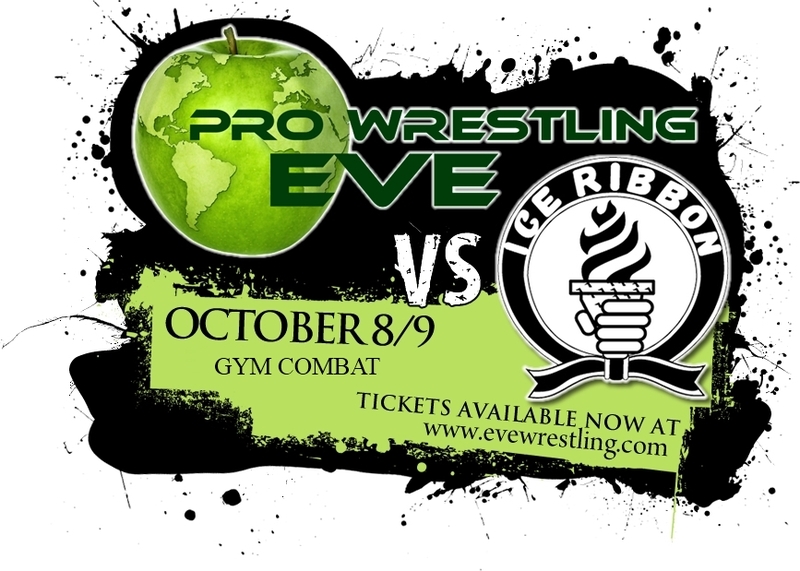 Pro Wrestling: EVE have now released a statement regarding their shows against Ice Ribbon to take place in October. Please see below for details, but in summary it means that there will be three EVE shows taking place instead of two, and NBW Southside will also have a show that is free to fans who paid for the 1PW shows, and it will all take place at Gym Combat, on Crocus Street in Nottingham, UK. MAJOR PRO-WRESTLING:EVE NEWS UPDATE: NEW VENUE, NEW TIMES, NEW SHOW, NEW NAMES, NEW DVD, NEW MUSIC VIDEO – 1PW TICKET BUYERS TAKE A LOOK! Gym Combat is an established full time wrestling venue acting as the training facility and live events venue for established British wrestling promotion House Of Pain run by the highly regarded 10 year wrestling professional Stixx (as seen in Dragon Gate UK rings). With the new venue comes a new ability – to run longer shows than originally specified to us and also to run a THIRD bonus show as a special treat to those who are purchasing tickets to both Saturday and Sunday EVE events and also to those who had purchased tickets to the 1PW show that was set to take place on Sunday October 9. This means if you purchase tickets to BOTH EVE evening events on Saturday October 8 and Sunday October 9 you will get FREE entry into the EVE afternoon event of Sunday October 9. Additionally if you have previously purchased a ticket for the 1PW event that was set to take place on Sunday October 9 then fear not – you need not spend the day without experiencing LIVE world class professional wrestling as Pro-Wrestling:EVE will give you FREE ENTRY to the afternoon event! But that’s not the only FREE wrestling show of the weekend at Gym Combat, Nottingham for 1PW ticket buyers! Pro-Wrestling:EVE has teamed up with the fastest rising promotion to come out of the UK in the last 18 months in Southside Wrestling Entertainment to bring the fans effected by unfortunate cancellation of the 1PW events a great weekend of professional wrestling as not only is the afternoon Pro-Wrestling:EVE event on Sunday October 9 FREE to all 1PW ticket buying fans but on the afternoon of Saturday October 8 Southside Wrestling Entertainment will also provide a free show for everyone who had bought tickets to 1PW on that weekend (don’t worry if you don’t have a 1PW ticket to gain entry as tickets for the Southside event are on sale!) so all you fans who had previously purchased tickets to 1PW can still watch world class professional wrestling over the weekend of October 8 and 9! Southside Wrestling Entertainment presents Salvation! Featuring Greg Burridge, Val Kabious, Stixx, Nathan Cruz, El Ligero, Kriss Travis, Ego Dragon & Many More! TICKETS AVAILABLE FROM WWW.NBW-SOUTHSIDE.COM – FREE ENTRY TO FANS WHO PURCHASED TICKETS FOR 1PW! Pro-Wrestling:EVE presents EVE v Ice Ribbon 1! Featuring EVE Champion Jenny Sjodin, Alpha Female, Nikki Storm, The Glamour Gym, Shanna, Blue Nikita, Erin Angel, April Davids & Many More! Pro-Wrestling:EVE presents EVE v Ice Ribbon 2! Featuring Jenny Sjodin, Alpha Female, Nikki Storm, The Glamour Gym, Shanna, Blue Nikita, Erin Angel, April Davids & Many More! TICKETS AVAILABLE FROM WWW.EVEWRESTLING.COM – FREE ENTRY TO FANS WHO PURCHASED TICKETS FOR 1PW! Pro-Wrestling:EVE presents EVE v Ice Ribbon 3! Featuring Jenny Sjodin, Alpha Female, Nikki Storm, The Glamour Gym, Shanna, Blue Nikita, Erin Angel, April Davids & Many More! Pro Wrestling: EVE have so far announced ten of their own participants for the shows against Ice Ribbon, and those ten are: Pro Wrestling: EVE Champion Jenny Sjödin, Erin Angel, Nikki Storm, Carmel Jacob, Sara-Marie Taylor, Blue Nikita, April Davids, Kay Lee Ray, Shanna, and The Alpha Female. Pro Wrestling: EVE have also followed on from their successful partnership with XWA to also partner with NWA UK Hammerlock, which will see April Davids take on Rhia O’Reilly in their forthcoming event on 27th August. As always, you can buy Pro Wrestling: EVE DVDs (including the latest ones filmed in April that are now available for pre-order) and tickets at EVEWrestling.com , follow and interact with them on Twitter (at @ProWrestlingEVE ), Facebook (at facebook.com/EVEwrestling ) and YouTube (at YouTube.com/user/ProWrestlingEVE ). You can follow and interact with Ice Ribbon on Twitter (at @IceRibbonEurope ) and Facebook (at facebook.com/pages/Ice-Ribbon-Girls-Pro-Wrestling/113657958693045 ), check out their website (at ice-ribbon.ne07.jp – note that it is in Japanese), and Tumblr (at iceribbon.tumblr.com ). You can find out more about Southside Wrestling Entertainment and purchase tickets and merchandise on their official site at NBW-Southside.com, and also interact with them on Twitter (at @SouthsideWE) and Facebook (at Facebook.com/nbwsouthside). For more information on NWA UK Hammerlock, you can check out their website at NWAHammerlock.com, and interact with them on Twitter (at Twitter.com/Hammerlock) and Facebook (at Facebook.com/Hammerlock).